← Today’s Lunch: Spinach Salad with The Works! 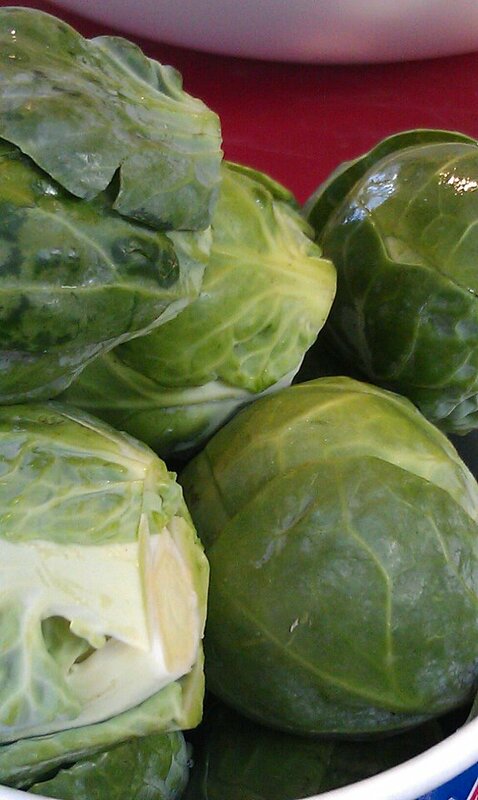 Brussel Sprouts are by far one of my favorite veggies! They are not everyone’s cup of tea however I will give you my recipe for some pretty darn good sprouts! Saute garlic and onion in olive oil until golden on low heat ( do not burn it) Add in brussel sprouts and turn up the heat to medium/high. Once they start to crisp add in the brown sugar and resume sauteing for about another 5 minutes. They SHOULD turn out a nice caramelized batch of deliciousness! I will be making these tomorrow and will post pics! Pair with chicken, fish, turkey, or steak!